There are many books and guidebooks dedicated to Tuscany. Casina di Rosa provides his guests with a selection of guidebooks and maps that they can borrow and use during their stay in Civitella. Moreover, we participate in bookcrossing. A great way to plan your holidays in Tuscany beforehand is to read about the local culture, products and sights. In this section, we have collected a selection of interesting reads about Tuscany and it’s lifestyle. You will also find some of the same titles that you found in our library, so if you have read something at Casina di Rosa that you would really like to have, now you can buy it directly from these pages! We will be happy to have your suggestions for more books to add! Enjoy your reading and… your holidays! Give the ones you love a book about Tuscany and the Tuscan way of life! We have selected several interesting titles for you! In our online book-store you will find books about Tuscan Decor and photography, tourist guidebooks of Tuscany, books about lavender, books about olive oil, books about wine and more! Browse through Casina di Rosa’s Tuscany bookstore, and choose your presents! If you can’t choose the best title for your friends and family, why don’t you let them choose for themselves? Give your friends and family an Amazon gift certificate! 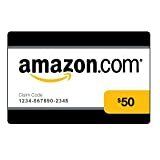 Click here to give an Amazon.com Gift Certificate. I would go there again in a heartbeat.